1 Thoroughly brush mussels under running cold water to remove the "beards." Discard any mussels that remain open. 2 Rinse mussels again under cold water until water is clear. Drain well and refrigerate until ready to use. 3 Peel carrots. Rinse fennel bulb, removing the stalks. Cut carrot and fennel bulb into long strips (about 5 cm) (approximately 2 inches). Peel and finely chop the garlic. Rinse thyme, shake dry and pluck leaves. 4 Heat oil in a large pot. Sauté the vegetables and garlic over medium heat until softened, about 3 minutes. Add mussels and sauté for 1 minute more. 5 Add white wine, canned tomatoes and thyme and bring to a boil. Season with salt and pepper. 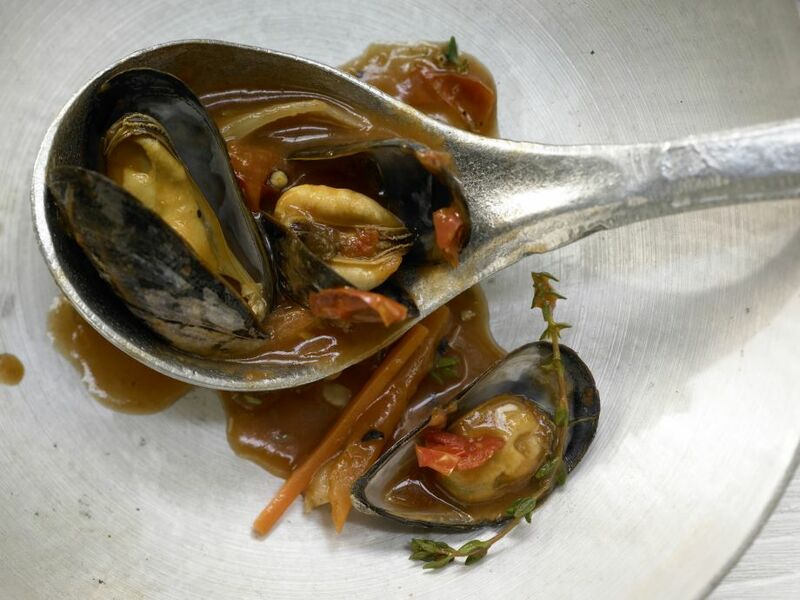 Cover and cook, stirring frequently, until all the mussels have opened, 5-7 minutes. Discard unopened mussels before serving.